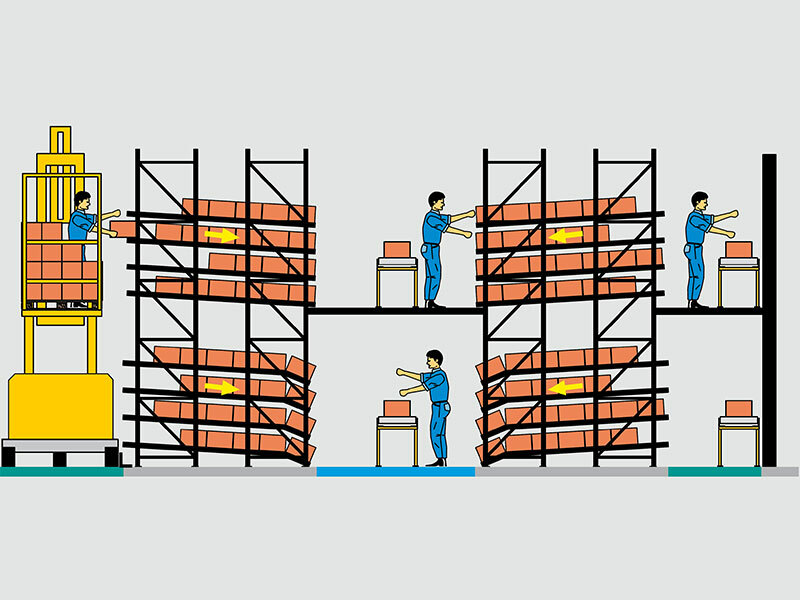 Among order picking installations that work according to the operator-to-goods principle, live storage for cartons as well as for pallets is on the increase. 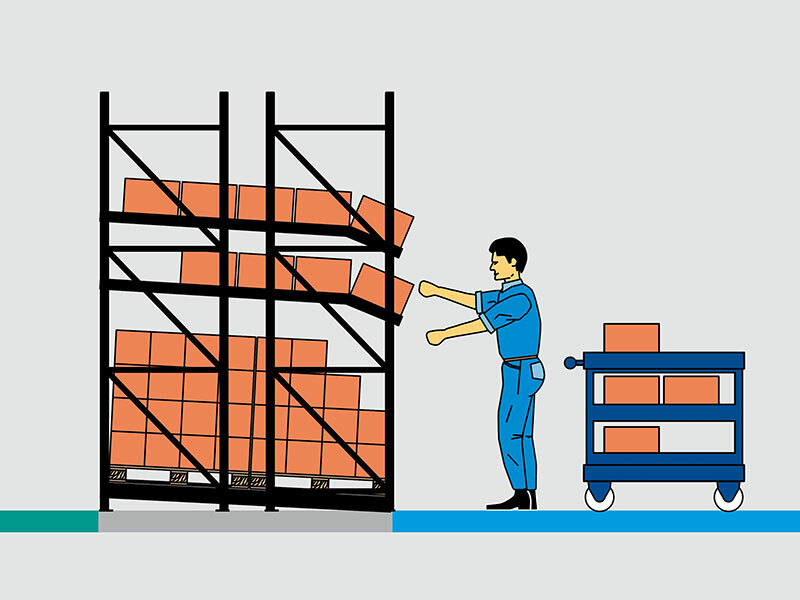 Separate working aisles ensure that stock replenishment does not interfere with order picking. 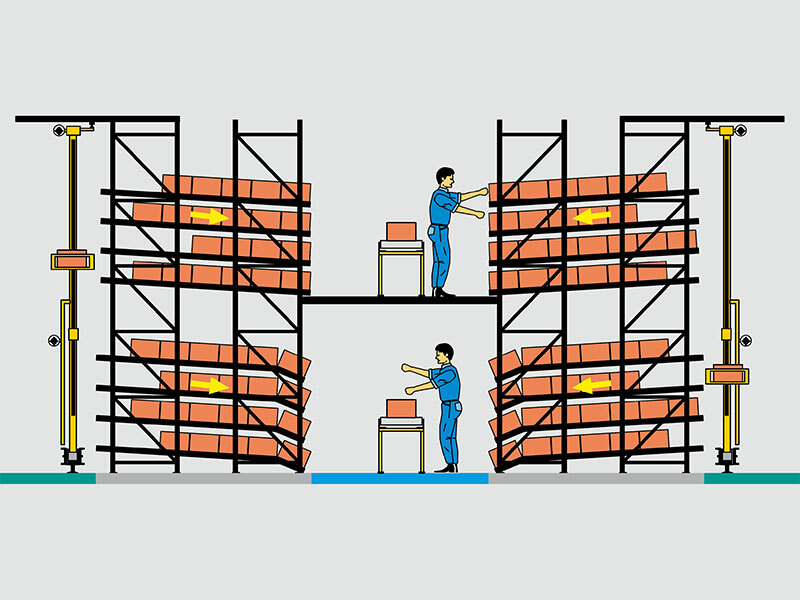 Order pickers can rely on the constant availability of goods, as all storage units move continuously and unassisted into the picking position. Depending on local conditions and work methods, travel time is reduced between 40 - 70%. Goods stored first are taken out first. 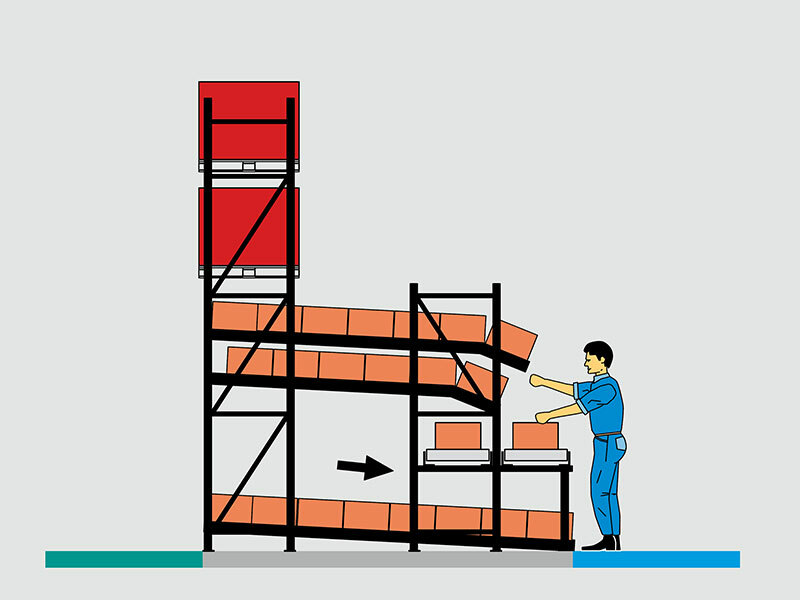 The live storage installation is loaded at the rear, goods are picked at the front. Easy control of sell-by dates. Up to 30 % of space can be saved by the elimination of unnecessary aisles. 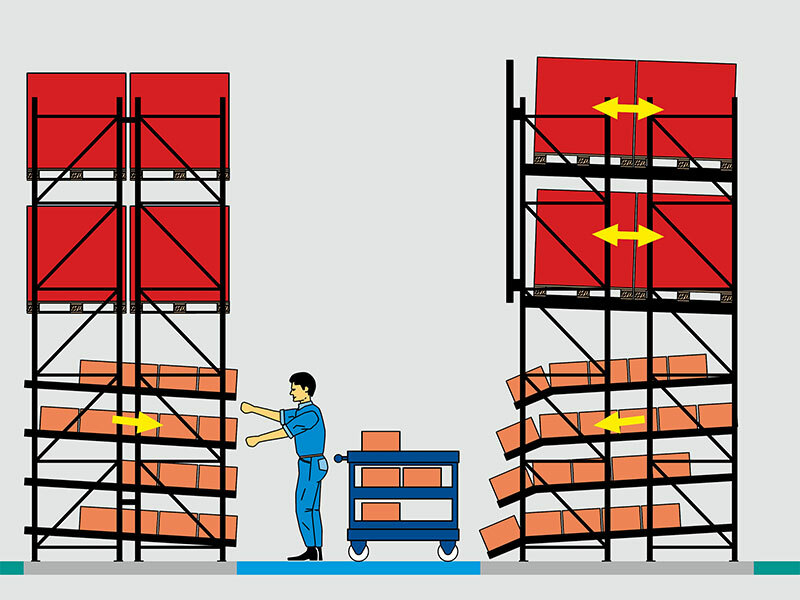 Different loading and picking aisles effectively separate staff. This improves staff productivity. 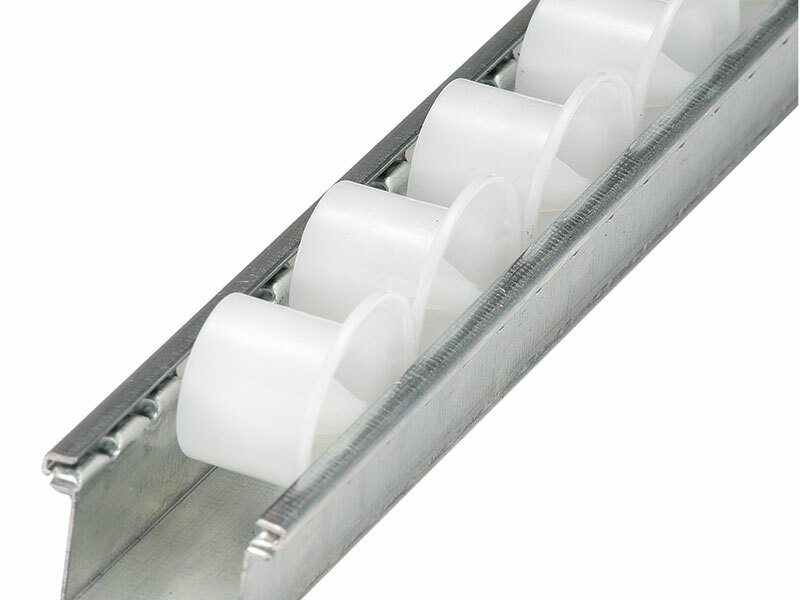 Roller tracks and dividers can easily be adjusted in 8.5 mm increments. 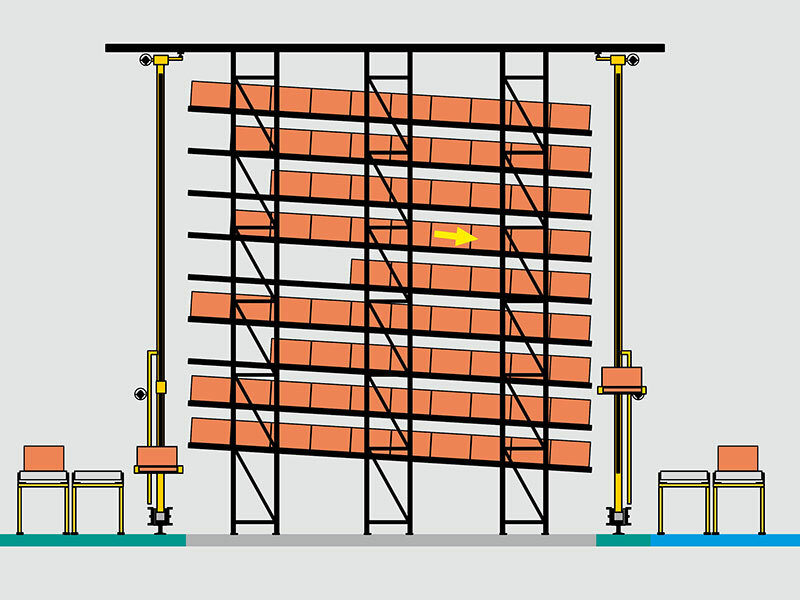 is possible by automated stacker crane replenishment and by introducing paperless order picking. - immediate re-stocking from the pallet buffer on top. 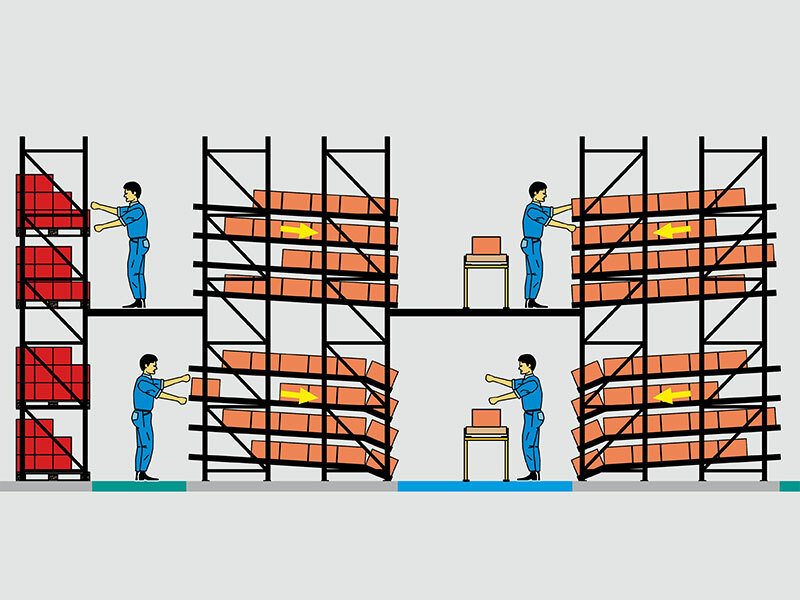 - re-stockers and order pickers work in separate aisles and cannot get into each other‘s way. 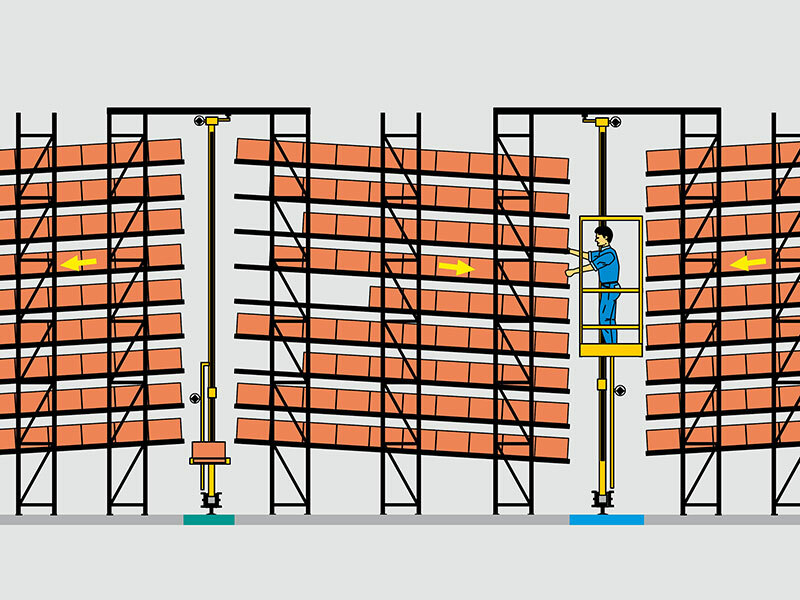 - for dynamic solutions: separate working aisles ensure that order pickers are not disturbed by stock replenishment. 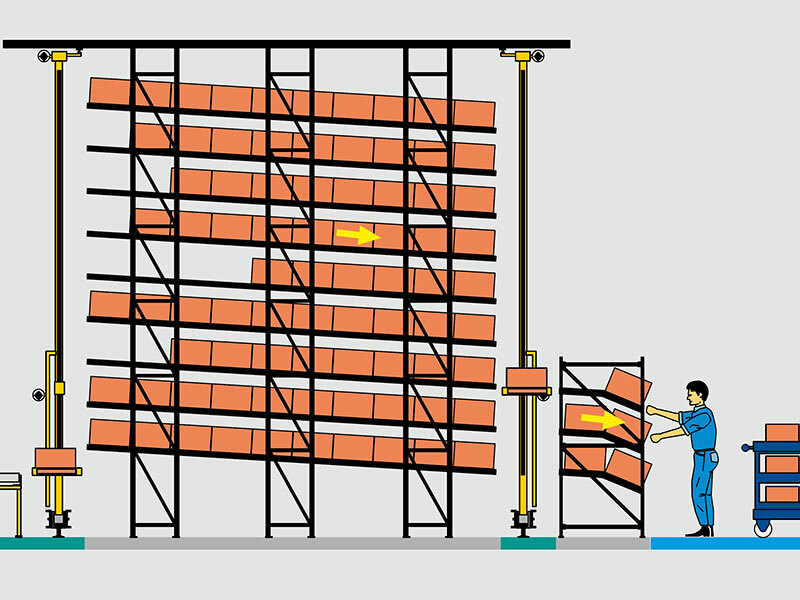 - mobile carton live storage installation with a pallet buffer on top. 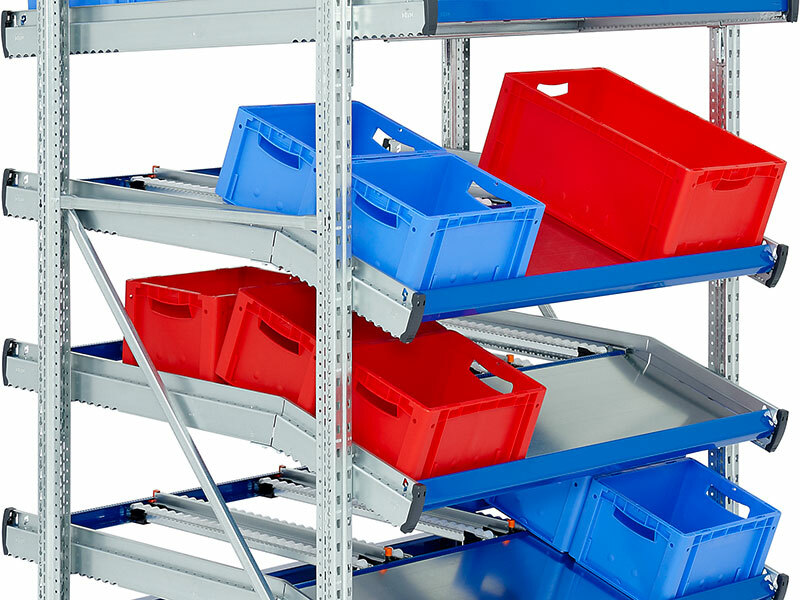 - space-saving solution with short travel routes as no separate replenishment aisles are required. FIFO-principle is realised. 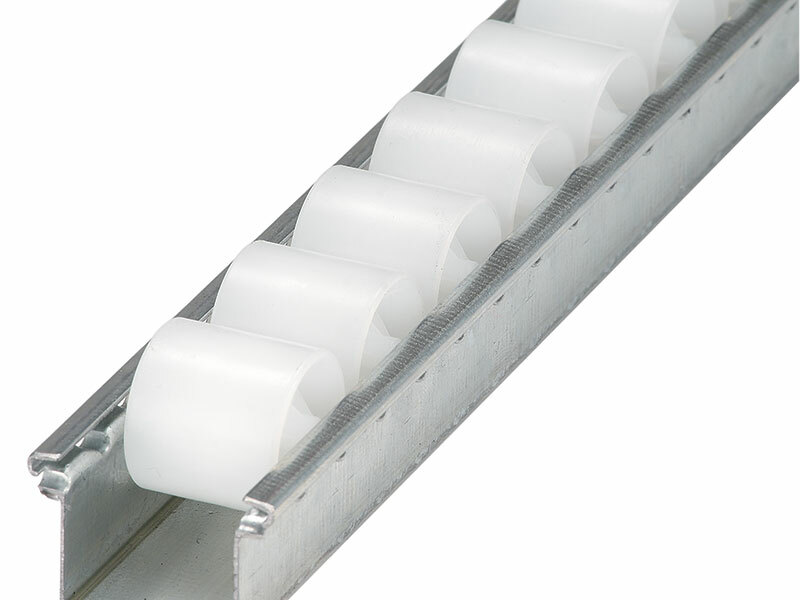 - unrestricted use of pallet buffer stock, as service aisles can be opened wherever required. 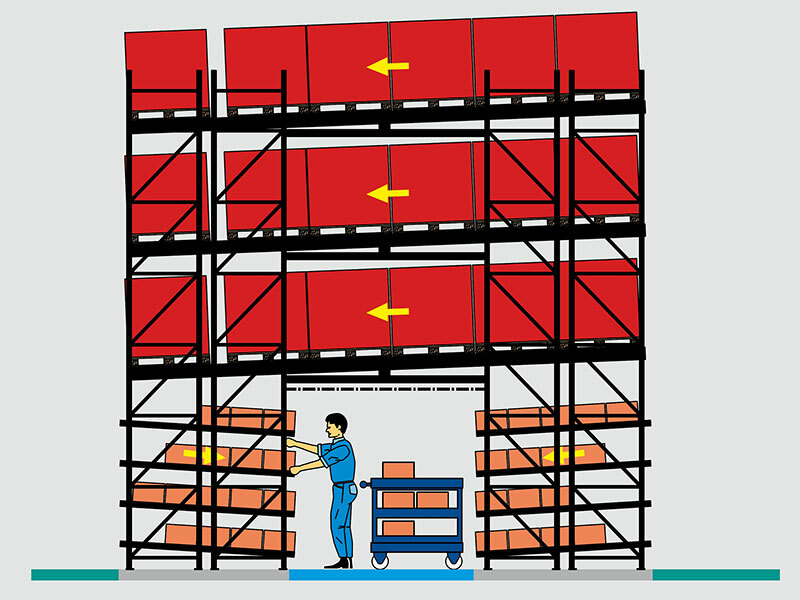 This means that the pallets do not have to be pushed back and no special trucks for double deep storage are necessary. 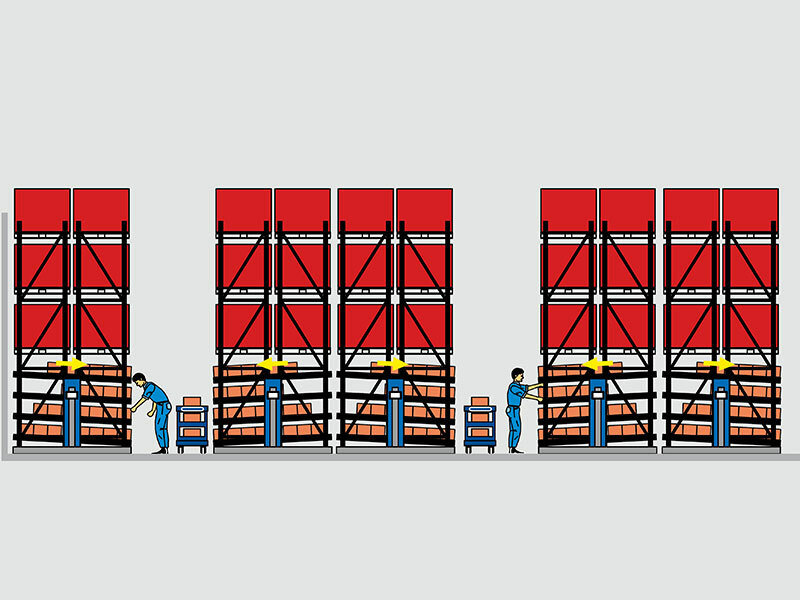 - maximum utilisation of warehouse space. 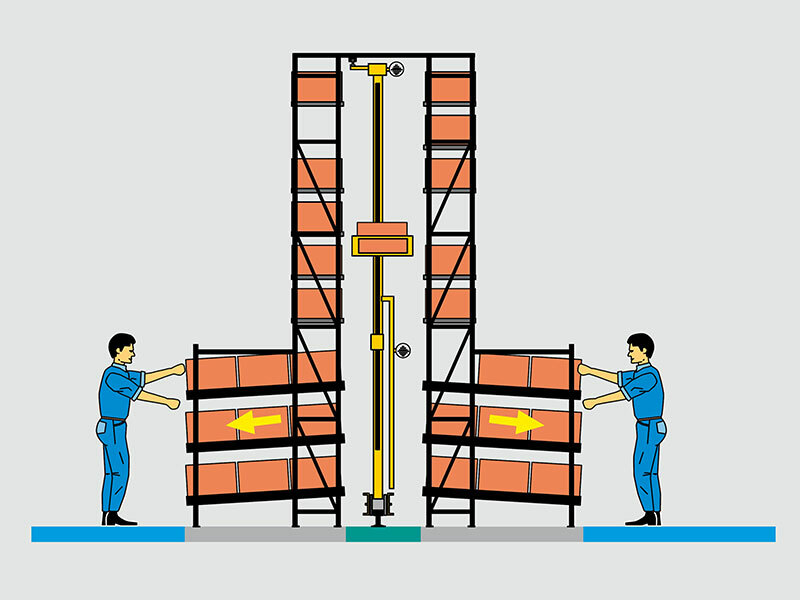 - the bins can either be stored in an automated bin storage installation or in highbay shelving serviced by an automatic stacker crane. - constant availability of goods. 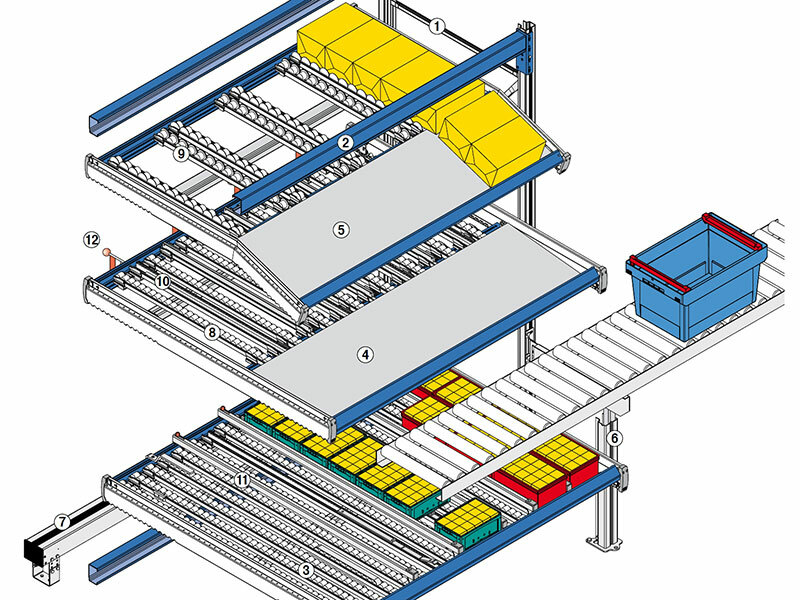 - also very efficient as buffer store in production or dispatch areas.